We provide the simplest solution at Mint Leaf Dental. We know patients prefer conservative and affordable treatments that really work. Our oral appliances effectively treat tooth wear, TMJ disorder, and sleep apnea. Each oral appliance is constructed to fit your mouth and resolve the problems you experience day-to-day. They are easy-to-wear and take with you wherever you go! TMJ stands for “temporomandibular joint,” which are the joints that lie on either side of your head connecting the lower jaw to the skull. TMD is TMJ disorder, which is a collection of symptoms caused by TMJ strain. If you are suffering from headaches or jaw pain with no end in sight, contact Mint Leaf Dental for your TMJ evaluation. Sleep apnea sufferers might not know they have sleep apnea. You or your bed partner may notice chronic snoring or gasping noises during sleep. Other symptoms of sleep apnea include daytime tiredness, lack of focus, and mood swings. How Can Oral Appliances Help? Both TMD and sleep apnea sufferers are experiencing decreased life quality. They are affected by headaches, irritability, weight gain, facial pain, and exhaustion. We want to offer the most convenient and effective treatments possible for our patients. Oral appliances have a variety of uses that can potentially give you a lifetime of great whole body health! We want to protect our patients with customized oral appliances. 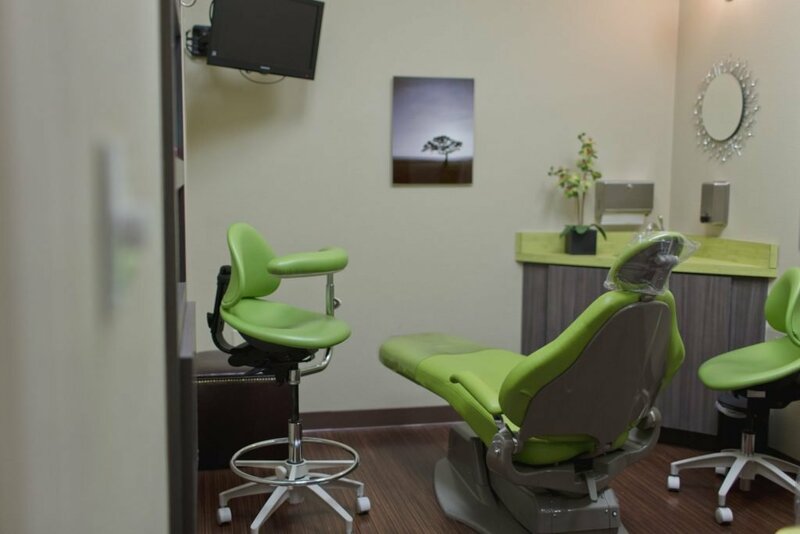 Mint Leaf Dental serves Fort Worth, Crowley, Burleson, Benbrook, and Aledo area. Call for an appointment today!